Join Jennie Rayment as she introduces you to this beginners course on quilting, patchwork and appliqué. Delve into the magical world of this creative craft; learn the essential steps that will stand you in good stead as you begin your journey. Start with cutting and preparation and a basic block then build your confidence with more techniques. From traditional strip designs to Log Cabin and more modern creations, uncover the mystery of Half and Quarter Squares and play with shape and form, then take a sneak peak at the fascinating world of appliqué. Try your hand at simple stitching, explore bias and Stained Glass with a taste of Celtic and Shadow then experiment with the elements of machine appliqué in al its glory. Go to learn.createandcraft.com and put TEACH33 in as the coupon code - save £20! From basic equipment to simple blocks, understand the tools and their use, learn some of the tricks of the trade, understand how to stitch by hand and machine. Begin the journey with some easy designs with squares. From ¼” seam allowance to thread savers plus lots of invaluable tips. The building blocks of patchwork! Understand how to construct, piece and play with the shape. Follow Jennie as she takes you through a range of well known block designs and border effects. Experiment with different ways to create hand appliqué, explore the magic of bias strips in a range of designs from Stained Glass to Celtic. Take a look at Shadow appliqué and develop your technique with machine stitchery. From satin stitching to Broderie Perse, experiment and explore a range of ideas. Let’s continue with our journey through the unique world of patchwork and appliqué. 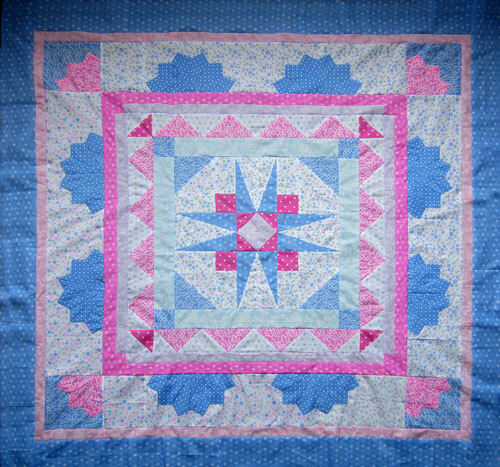 Jennie now shows us the delights of hand patchwork from English Paper Piecing, Clamshells and Hawaiian, then continues along this magical path to some traditional pieced and applied designs such as Dresden Plate and Grandmother’s Fan. Following on from these techniques, try your hand at the Y seam with Tumbling Blocks, explore the versatility of different shaped triangles and gaze in wonder at the Kaleidoscope design. For those who like a challenge, experiment with developing 54/40 Fight or Flight into a Storm at Sea but for others who prefer a quiet meander along the learning curve, try a simple project such as a Tree Table mat. Hand Patchwork: Explore a variety of hand sewn techniques from English Paper Pieceing, Suffolk Puffs, Puff Patchwork to Clamshells and Hawaiian. Learn the construction, sewing methods and how to play with these very different techniques. 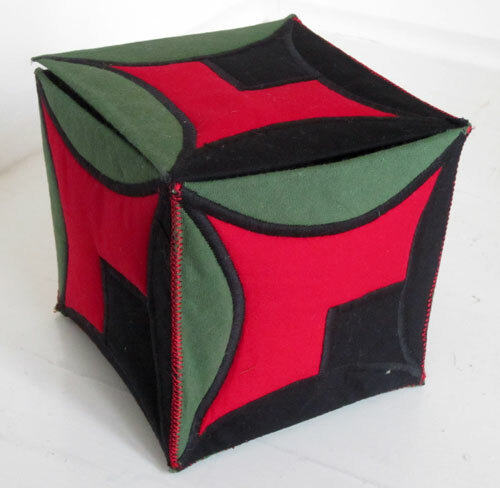 Puff Patchwork: Simple construction technique involving two squares and some padding. Hawaiian: One piece appliqué easily create from a square of paper. 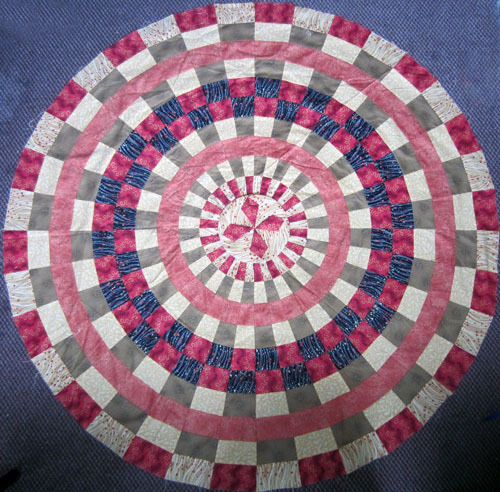 Traditional Pieced and Applied Patchwork: Dresden Plates and Grandmother’s Fans in different formations with alternative choices for completion. Play with shape, construct your own design and appliqué in place. Explore the fascination of a Petal Pattern block and experiment. Tumbling Blocks, Triangles & Stars: Explore the possibilities of 30 and 60 degree triangles. Uncover the mystery of Y seams within Tumbling Blocks and Eight Point Star and see how simple constrctuion can be. 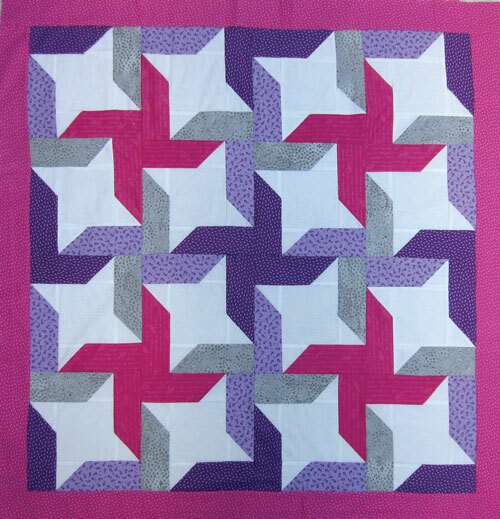 Eight Pointed Star: Learn how to make a successful design and conquer that Y seam! Curved Illusions: Deceive your eyes - from straight lines create curves! Use colour, shape and form and develop the 54/40 block into a Storm at Sea. Then tinker with different angles for a kaleidoscopic effect then relax with a simple tree mat project. Tree Table Mat: Simple project ideal for beginners.